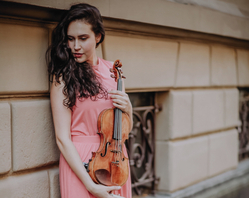 Lelie Cristea, born into a family of professional musicians started her career at the early age of three years, studying with her father Ion-Henry Cristea, outstanding violinist, professor and former concertmaster of the Vienna Chamber Opera. Until today these studies have a high impact on her technical and musical achievements. Lelie completed her studies with Liviu Casleanu - Beethoven Orchestra, Bonn - and Prof. Mintcho Mintchev - Folkwang University, Essen. 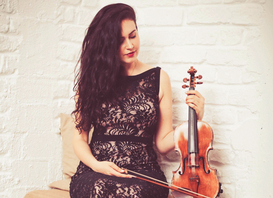 Further influence on her professional career she got at masterclasses with Prof. Stefan Gheorgiu, Prof. Andreas Reiner, Prof. Pavel Vernikov, Prof. Ingolf Turban and Vadim Gluzman. Even at young age, Lelie traveled regularly as soloist and with orchestras throughout Europe and Asia. A remarkable highlight of her professional career was a performance in front of German Chancellor Angela Merkel in New Dehli. She played during these tours in some of the most beautiful concert halls, such as Konzerthaus Berlin, Vienna Musikverein and the St. Petersburg Philharmony. 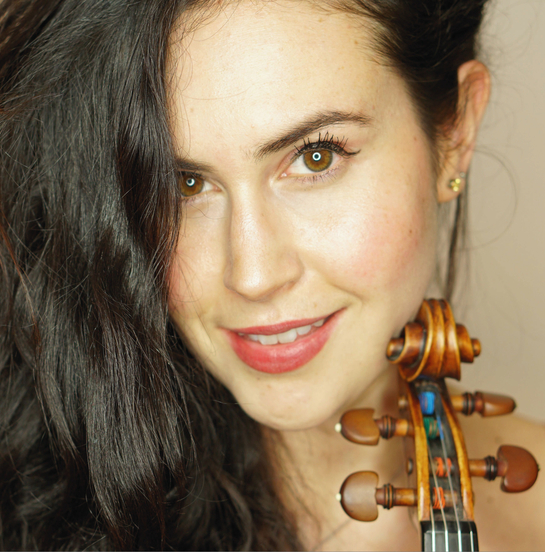 Even before her studies, Lelie has been a soloist with orchestra, accompanied by the Neue Philharmonie Westfalen with works by Wolfgang Amadeus Mozart followed by the performance of the Sinfonia Concertante with her sister Ann-Sophie and the Philharmonia Of Nations in Konzerthaus Dortmund. Classical music runs in Lelie ́s blood, nevertheless the world of film and the associated soundtracks have always fascinated her in a special way. Maybe it ́s the emotionality which is linked to a soundtrack and is therefore able to take listeners on a dream travel, diving into a world of imagination. Maybe it’s also Lelie’s family background, that explains her special interest for soundtracks of old Hollywood movies as well as modern screenplays. 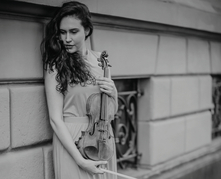 Almost 100 years ago her grandfather Ionel Cristea created a lot of excitement as a classical violinist in the silent movies in theatres in Bucharest while he was studying at the conservatoire. The expressive talent and the passion for extravagant concert programs was handed over to Lelie ́s father Ion-Henry Cristea. The link between two worlds, classical music and film music, formed over three generations and combined in one violinist - this is more than just music. Lelie's numerous recordings are the result of her continuous desire to share as many wonderful masterpieces as possible with her international audience on YouTube, Instagram and SoundCloud in order to touch as many people as possible with her music. With her new concert program -CINE- Lelie gets very close to her goal to melt classical music and film music to a unique and exiting sound experience taking her audience into a musical journey through the genres. 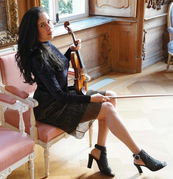 Lelie plays on an old italian master violin from the 18th Century, the origin of which could not be clarified yet even after talking with Sotheby’s and Beare.